Russia launched a Soyuz rocket with the latest Progress resupply freighter bound for the International Space Station, docking nearly 3.5 hours later. Progress MS-11 launched atop a Soyuz 2.1a rocket from site 31 at Baikonur Cosmodrome, Kazakhstan. 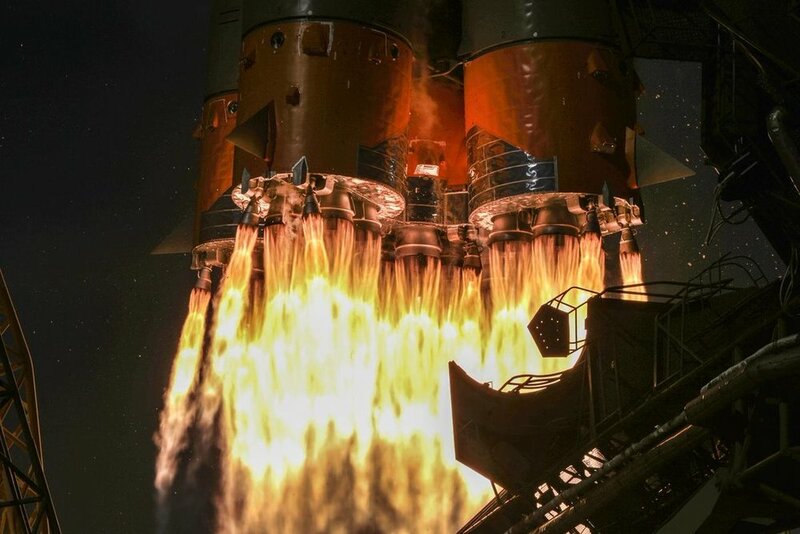 Liftoff took place at 11:01 UTC April 4, 2019, setting the stage for the spacecraft to rendezvous with the outpost just over three hours later. Docking with the Pirs module occurred at 14:22 UTC. According to NASA, the spacecraft brought with it 3,412 kilograms of supplies including about 1,530 kilograms of propellant, 50 kilograms of oxygen and air and 420 kilograms of water. This two-orbit rendezvous profile was only the second time it had been performed successfully. The first time was during Progress MS-09 in July 2018. It is possible this trajectory could be used during future crewed Soyuz flights to get astronauts and cosmonauts to the station even faster. The Soyuz 2.1a rocket, which rolled to the launch pad on April 1, is a 46-meter, three-stage rocket. The first stage is composed of liquid-fueled strap-on boosters. With their RD-107A engines, which consume liquid oxygen and rocket-grade kerosene, they fired concurrently with the core stage, also known as the second stage, for about 2 minutes before falling away, having depleted their fuel. Not long after, the payload fairing fell away as planned, exposing Progress MS-11 to space. Because the rocket was high enough above the atmosphere, it was no longer needed. 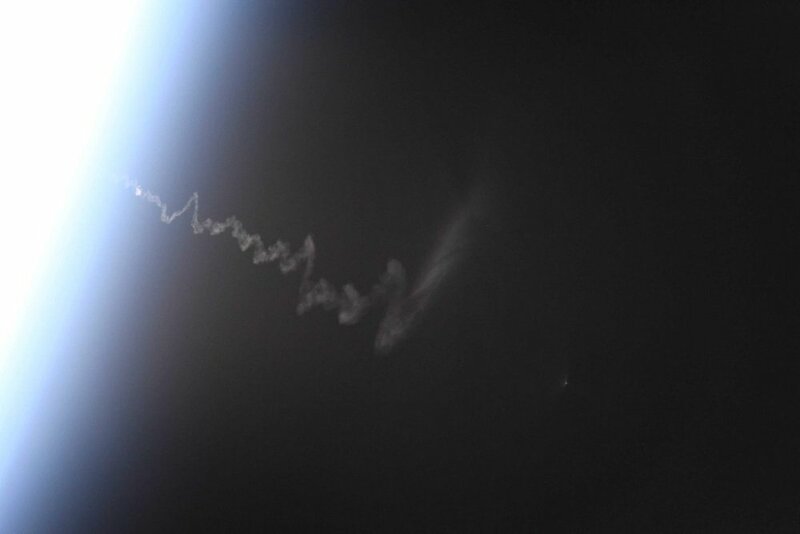 The core stage, powered by RD-108A engine, continued burning until about 5 minutes into flight when it separated and the third stage fired to continue pushing Progress MS-11 into orbit. Orbital insertion took place some 9 minutes after launch. That was followed shortly after by the separation of the spacecraft and the deployment of its solar panels and antennas. Once Progress MS-11 was within range of the ISS, it autonomously linked up with the Pirs module. Monitoring the launch from the space station’s Zvezda module was Russian cosmonauts Oleg Kononenko and Aleksey Ovchinin of Expedition 59. Kononenko is the commander of the station’s six-person increment. Should there have been a problem during rendezvous, the two could have used the controls of the TORU, which is a backup manual docking system that can be used to remotely pilot the uncrewed spacecraft to the docking port. However, everything went by the book. The next steps will be for leak checks to be performed. Following that, hatches between the station and spacecraft will be opened for cargo unloading to begin. Progress MS-11 is expected to remain at the outpost until mid-summer 2019. This is the first of several cargo ships bound for the space station in April 2019. The next is expected to be Northrop Grumman’s NG-11 Cygnus spacecraft on April 17. That is planned to be followed by SpaceX’s cargo Dragon on April 25. NOTE: While this article was written by Derek Richardson, it was originally published at SpaceFlight Insider.